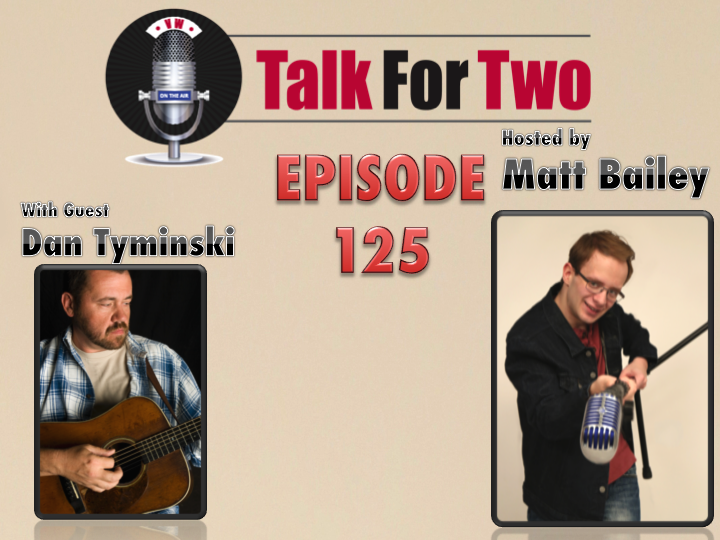 Today on Talk For Two, 14x Grammy winner Dan Tyminski reflects on his career. Tyminski sat down with Matt to discuss everything from his musical upbringing to entering the world of EDM. Tyminski, a bluegrass vocalist and multi-instrumentalist, is perhaps best known for his role in the band Alison Krauss and Union Station. He is the male lead vocalist for the group. Tyminski’s deep vocals have also been heard in the film O Brother, Where Art Thou? He dubbed in for George Clooney on “I am a Man of Constant Sorrow”, a song that won Tyminski the Grammy for Best Country Collaboration with Vocals at the 2002 ceremony. Tyminski also discusses even more recent highlights with host Matt Bailey, including the story of how he ended up recording vocals for Swedish DJ Avicii’s track “Hey Brother”. He initially said no, but relented at his daughter’s urging. Coming to our region this weekend, you can buy tickets to Dan Tyminski’s shows with fellow bluegrass artist Ronnie Bowman by clicking here.